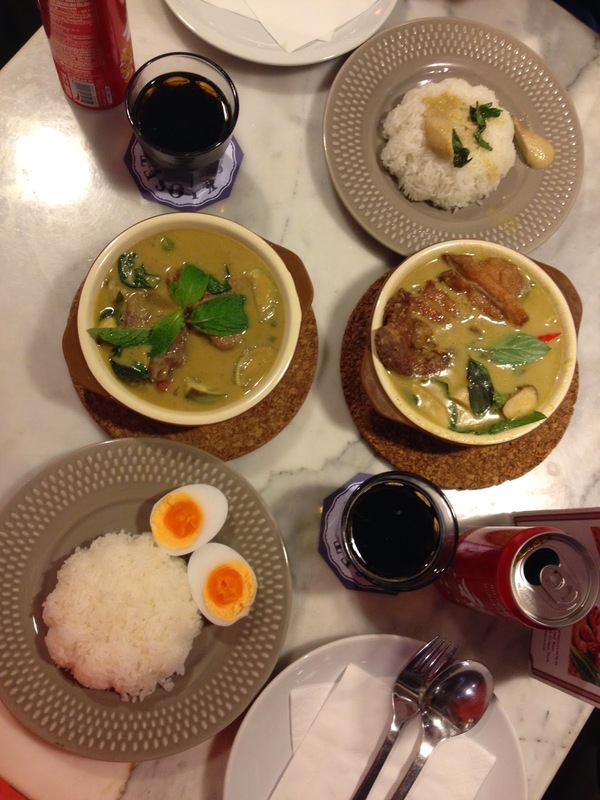 This is another "Food Diary" post from our vacation in Asia. Not very typical, but we had to have some burgers at some point, since we are such big fans of them. Mine was with mushrooms and swiss cheese, it was freakin' delicious! We also had some tapas at a spanish bistro: Garlic bread, Shrimp spring rolls and jamon serrano filled with parmesan cheese. 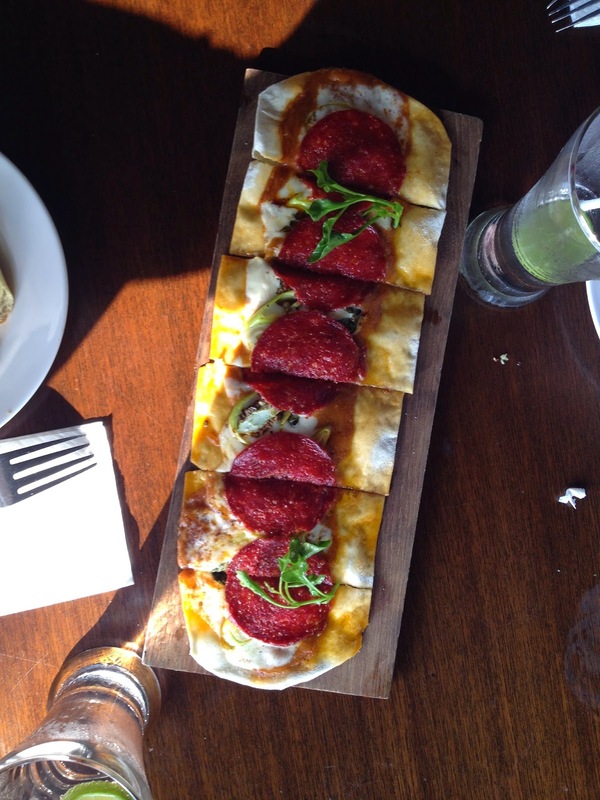 Spanish thin pizza, not really a pizza but still good. I had the beef green curry and he had the crispy duck green curry. I love curry, though I prefer the red one. 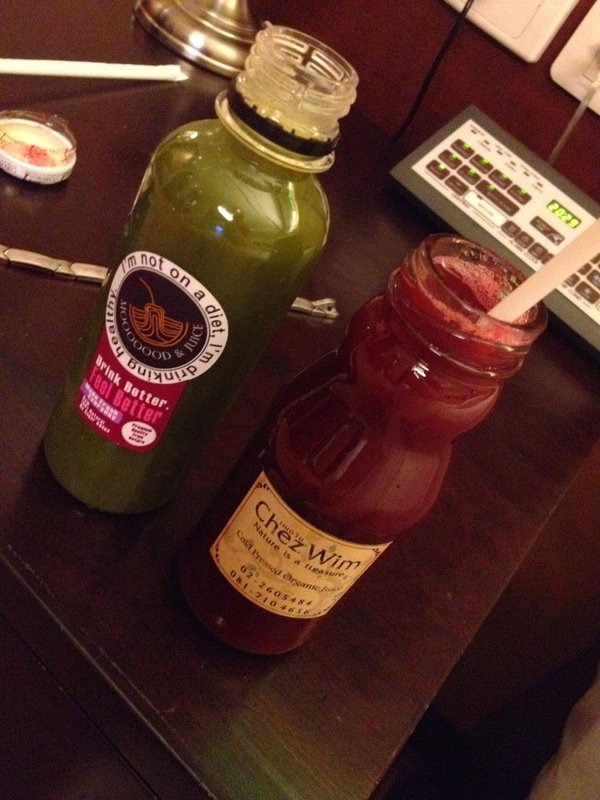 I had to sneak in some cold pressed juiced to balance out all the unhealthy things I kept putting in my body. The green one has wheat grass and apples in it, while the red one has beats, wheat grass, pineapple and apples. I also had one with Pineapple and passionfruit, which was divine. Roast duck red curry and I have no idea what kind of curry the other one was. I think it was Masala curry, but not sure. I had also green chicken curry, which I didn't photograph. 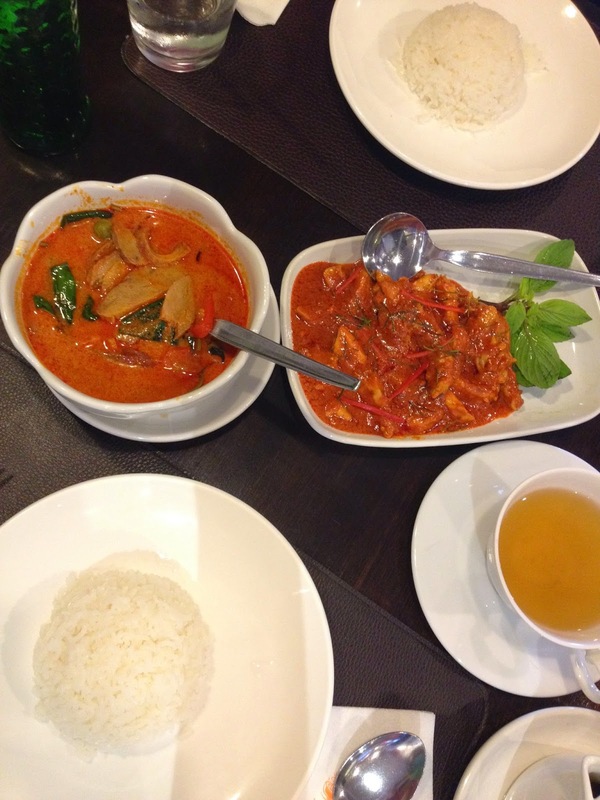 The spiciness level wasn't worse than the Thai restaurants I visited in Vienna. Only the green chicken curry was a little bit harder to eat, but manageable. Do you love curry?